This blog post is an adaptation from this Object of the Day, which is an adaptation from my course at Queen Mary. Here will go back a lot further into the history of the violent events in space that prove vital to astronomy: the standard candle. A "positive" and "negative" plate could be taken of any sky area - white stars or black stars - and laid upon each other. These average out - if the two plates are exactly the same. But if anything has changed in that area of the sky, the object in question will leap out, starkly black or white against the grey. In fact, this is pretty much the same technique as Ice Hunters uses; more on that in this post from June. Women were not at that time permitted to use the telescopes themselves. However, as she worked - at first, without pay - on the thousands of plates, Leavitt spotted many variable stars. (Variable stars are stars that change in brightness; they had been objects of interest for some time, but regarded with as something amateurs rather than professionals studied.) The discovery she made that earned her a nomination for the Nobel Prize - but only three years after she died, by someone who was not aware that she was dead - was Cepheid variable stars, a type of star whose brightness rises and falls in direct correlation with its mass. Leavitt did not know exactly how far away each Cepheid was, but she had a very useful sample to study: those in the Magellanic Clouds. The Magellanic Clouds, so named for a Portuguese explorer, Ferdinand Magellan, who used them to navigate while sailing around Africa, are a couple of nice little dwarf irregular galaxies in the southern hemisphere. Leavitt did not know the distance to these, but did realise that they were far enough away that she could treat all the Cepheids in them as being effectively the same distance away. This APOD shows the Magellanic Clouds over the Very Large Array during a lunar eclipse. The link will show you a map of what everything is in the sky. Extrapolating her results led to a bombshell. As telescopes improved, Edwin Hubble was able to spot Cepheids in the Andromeda galaxy, and calculate their distance. Andromeda was completely separate from the Milky Way. Harlow Shapley, who while showing that Earth was not at the centre of the Galaxy was nonetheless convinced that our Galaxy was the only one, was shattered when he heard. He thrust Hubble's letter to him at his young colleague Cecilia Payne, saying, "Here is the letter that has destroyed my universe." It turned out that there are several subclasses of Cepheid variables - and not knowing this led Hubble to wildly overestimate how fast the galaxies are receding from each other. Nineteenth century geologists, biologists and physicists had rocked the world by showing, through geology and evolution, and radioactive decay, that the Earth was over four billion years old rather than a few thousand as religious history taught; and Hubble's figures suggested that the Universe was only two billion years old! Henrietta Leavitt had started a new way of looking at the Universe: she revealed the first set of standard candles. It was Walter Baade and Fritz Zwicky who discovered the next sort: supernovae. Zwicky and Baade were close colleagues in the 1930s, but at the advent of the Second World War, some scientific friendships fell apart (the most famous being that of Heisenberg and Bohr) and theirs was one of them. But they both made outstanding contributions. 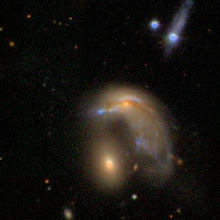 Zwicky predicted gravitational lensing and dark matter, and Baade identified Population I and Population II stars, which taught us a lot about galaxies. But they had time to separate the already known novae from the much more impressive supernovae, and to predict the neutron star - the complete collapse of an object that had reached the Chandrasekhar Limit. Chandrasekhar, known as Chandra, had predicted a strange but inevitable law of white dwarfs. A white dwarf is what is left of a star once it has burned all the hydrogen fuel in its core (the hydrogen at the edges is too far away and too cold), and it has stopped shining - though it will remain extremely hot for billions of years. However, should this white dwarf have a mass more than 1.4 solar masses (a solar mass is the mass of the Sun - about 2,000,000,000,000,000,000,000,000,000,000 kg, if you care) its gravity will be stronger than that of the repulsion between electrons which basically gives everything its solidity. This idea was not widely accepted, and he could not predict what would happen. Baade and Zwicky, with more observations and probably more knowledge of nuclear physics under their belts, predicted that protons and electrons would fuse into neutrons. This gives off a staggering quantity of energy, and because electron orbits make up virtually all the volume of an atom, the white dwarf shrinks to a tiny, unimaginably dense object only about 20km across. A neutron star is what is left after a supernova. (Supernova 1987A, on whose rings the Galaxy Zoo logo is based, has confused astronomers by not so far appearing to have left one.) As with Cepheids, there are different types of supernovae. The most important difference is type I and type II. Both basically involve the collapse of the star's core. (Stars don't automatically collapse when their cores are over the Chandrasekhar limit because of the furious heat of nuclear fusion maintaining an outward pressure.) 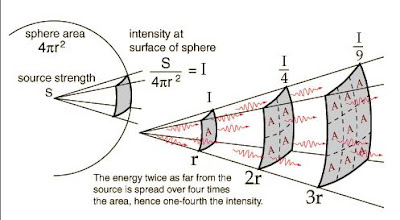 Type II is the explosion of a star between nine and and up to fifty times heavier than the Sun. A type II supernova still has an outer layer. A type I supernova does not. These are divided into the subclasses of type Ia, Ib and Ic. Type Ia is the collapse of a white dwarf that has accumulated more material since the star's outer layers were puffed off into space. Types Ib and c are the core collapse of a star, making them more similar to a type II explosion, but their outer layers do not contain hydrogen. Type Ia supernovae have a very special property: the transition from white dwarf to neutron star always happens at precisely the same mass - 1.4 Suns, the Chandrasekhar limit. And because they are of the same mass, the explosions are of exactly the same brightness. Therefore, they are an ideal standard candle. And because they can outshine entire galaxies, these candles can be seen billions of light years away. It was examining those that are fairly far away that led to the Nobel prize winning discovery of the accelerating expansion of the Universe. By "far away" I mean with a redshift of under 1, so not exactly at the edge of the observable Universe: far enough to get a really large scale of what is going on, but not so very far that we're looking back at ancient history. Near enough to give a picture of modern times. Naturally that discovery is still being questioned, but the papers (Perlmutter et al and Riess et al) were extremely thorough - indeed, thorough enough to be held up as examples worth learning from, as well as critiquing, as part of my course! What they found was that the supernovae were fainter than we would expect. And because this is, basically, a local effect - though one over huge scales - it means that expansion is going faster than we thought it is. We know that inflation, unfathomably rapid expansion, took place when the Universe was less than a second old. But we had been assuming the Universe's expansion was slowing down ever since - like a ball thrown up into the air, ready to hover for a moment, and then crash through the greenhouse windows or into a paddling pool or similar. It turns out the ball has a booster rocket, which is dark energy. The density of dark energy never changes - but, as the volume of of the Universe is ever increasing, the density of matter decreases all the time. There isn't much dark energy about per given volume. But there's more all the time. And we found all this out through standard candles. Just how standard is a standard candle? Science is never as straightforward as would be convenient - though that only contrives to make it even more interesting! 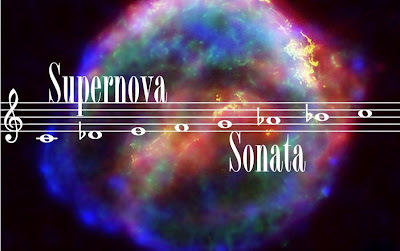 Not all Type Ia supernovae are made quite the same way - or, to put it in more scientific terms, they may have different progenitors. A white dwarf may start off as under 1.4 solar masses, but accumulate enough material to pass that limit. There are two ways it can do this, and both ways are through starting off as a binary star system. Its companion may still be a star, and it may drag off its outer layers. Or its companion may also be a white dwarf, and they might merge. It also depends on what the white dwarf is made of, as pointed out by Robert Gagliano, who is one of the major posters on Supernova Zoo. Even if the explosions have roughly the same characteristics, their spectra will not, for white dwarfs may be made of carbon, sometimes oxygen, and may or may not also contain hydrogen and helium, which may or may not be ionised - all these affect the spectrum. Finally, and to me the most interesting point of all: as this paper points out, although there aren't necessarily two distinct types of Type Ia supernovae - there is more a continuum (like galaxy shape, really) - it is established that spiral galaxies tend to host brighter supernovae than elliptical galaxies. This paper, from zookeeperKevin, points out that it is correlated with a galaxy's starforming rate. 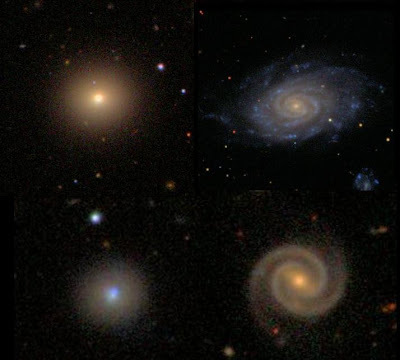 One of Galaxy Zoo's great finds was about galaxies and colour. 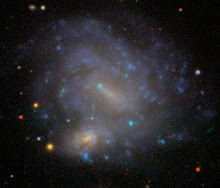 "Roses are red, spirals are blue, or at least so we thought until Galaxy Zoo": spirals tend to live alone, where there is plenty of free cold gas, and therefore are blue with star formation. Ellipticals tend to live in clusters, where there is no free cold gas, and are therefore "red and dead". I've written more about this here. The exciting exceptions are blue ellipticals and red spirals. What, I would like to know, are their supernovae like? A normal red elliptical, normal blue spiral, less normal blue elliptical, and less normal red spiral, taken from the Galaxy Zoo Forum. Now, if all that fried your brain, go and soak it in the music of a Supernova Sonata, or read Alice Allen adapting William Blake to the supernova. Wow great article, it was a journey across space and time! You should write a book, you're a gifted writer! Also what if some red spirals are red due to massive amounts of dust in the spiral arms? That's very kind of you, Sakib. I hope to do that, eventually . . . As for dust: yes, many spirals are very dusty - and that drives the star formation. We mostly see dust when it blocks light ("you don't see light until it shines on something" - the Clangers). In a face-on spiral, even if it's very dusty, we won't notice, because it's stretched out like a plate we're looking at, or a window. But if we see the spiral edge-on, we've got a galaxy diameter's worth of dust to look through, so it often does appear very red indeed. Awesome, I love that you talk about Henrietta Leavitt and her integral part in the eventual determination of accelerating expansion... One of those women who's name should be as recognizable as Hubble. And sadly, her death was so premature, of stomach cancer, I believe; she could have been a Nobel laureate. From one Alice to another, hello! I was pleasantly surprised to run across your blog and the link to my abuse of Blake's work; the full assault on his lovely poem can be found here: http://asterisk.apod.com/viewtopic.php?f=9&t=23548#p147630. Alice, my apologies for the very late comment. I forget where I've left things, alas, including comments. It's lovely to "meet" you, too, and I'm amused about clear skies; I'm sure I got that from someone else, probably an astrophotographer, as I correspond with so many of them in the course of acknowledging and looking through APOD submissions. BTW, your blog is great! It's a pleasure to read. Tales of astronomy, science communication and of people doing science together. And my various other thoughts and stories. 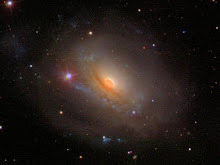 My first "interesting" galaxy and now my avatar on the Galaxy Zoo Forum. 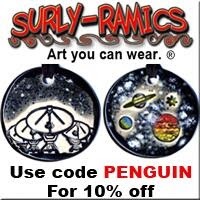 I don't normally advertise, but you should totally check out these brilliant pieces of scientific art! Especially as Amy often donates it to good causes. Where did the Big Bang actually take place? And therefore . . .
Tweet tweet . . .